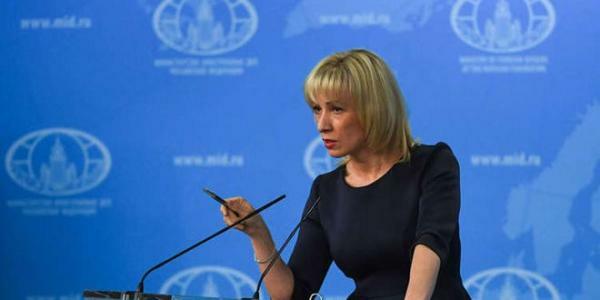 Russian Foreign Ministry Spokesperson Maria Zakharova renewed that the so-called “ White Helmets” organization has been involved in criminal acts and fabricating lies regarding alleged chemical attacks in Syria. “Those people who call themselves aid workers are clearly and publicly involved in criminal provocative activities in Syria which have been proven by conclusive evidences,” Rossiya 24 TV Channel quoted Zakharova as saying Tuesday. “I fully understand why the Syrians, both at the official and the grassroots level, reject this group and see it as a criminal organization.” the Russian Spokesperson said. The “White Helmets” organization was established in Turkey in 2013; it has received massive funding from the US, Britain, and the West. The scope of its work in the locations of the terrorist organizations has raised many question marks about it and its alleged humanitarian work, especially that its members are belonging to these organizations.